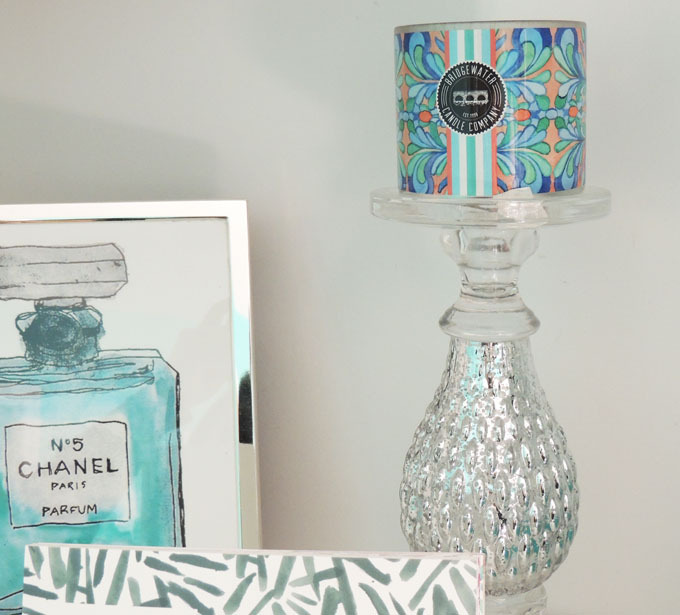 I've been using Bridgewater candles for a long time now - and in fact, they're the brand that got me into always having candles lit throughout my home! I remember when my mom first let me keep a lighter in my room so that I could light my candles when I came home from school or in the evening - #babyAdriana - LOL. But for real, I'm always trying new scents and Bridgewater has the best selection out there. My favorite scent from Bridgewater Candle Co. is the Open Road Mingle Tin Candle. It's so fresh and clean and it definitely doesn't hurt that its jar is SO pretty! This is my most lit Bridgewater candle and it smells like I have a fresh bouquet of flowers in my bedroom at all times. 1. Stack candles on decorative books. 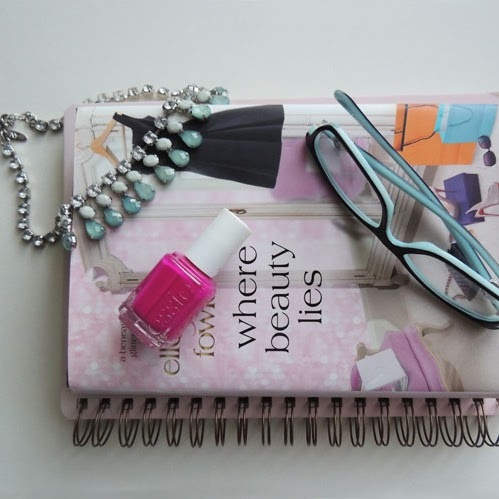 I use coffee table books for everything - decor, reading, even make-shift shelving. I have more candles than I can count or store away, so I always display candles atop of my decorative books and even magazines! It makes for pretty and easy decor, and you can reach for your candle(s) easily when they're displayed. Another reason I LOVE Bridgewater's candles is because the tops of the jar candles serve as a holder for the actual candle, so I can even light candles atop of a book without worrying about anything overheating. 2. In or on organizational pieces. 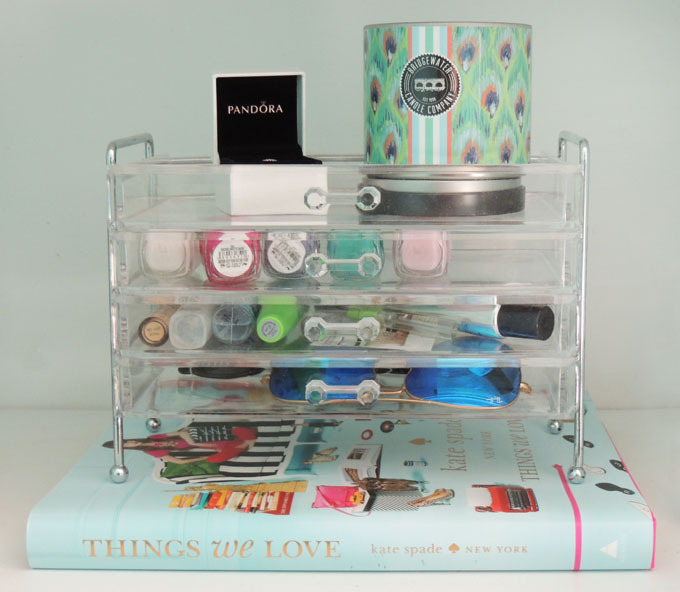 This fun acrylic organizer is the perfect piece to organize all of your lose ends and things that don't have a place while still looking pretty! Mine is from Home Goods; they always have the prettiest acrylic pieces. 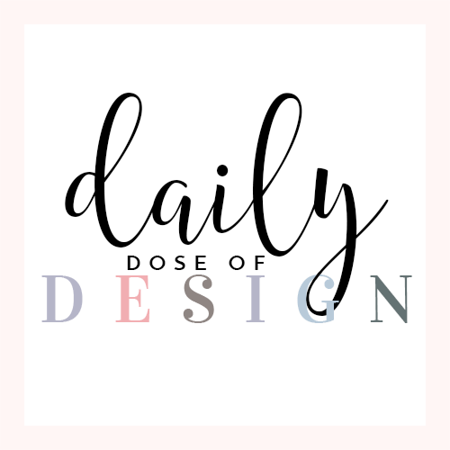 It has drawers and I use it for my current favorite nail polishes, travel beauty products that I throw in my purse/carry-on bag, sunglasses that I don't have a case for and on the top shelf, pretty little things that I like to have on display! 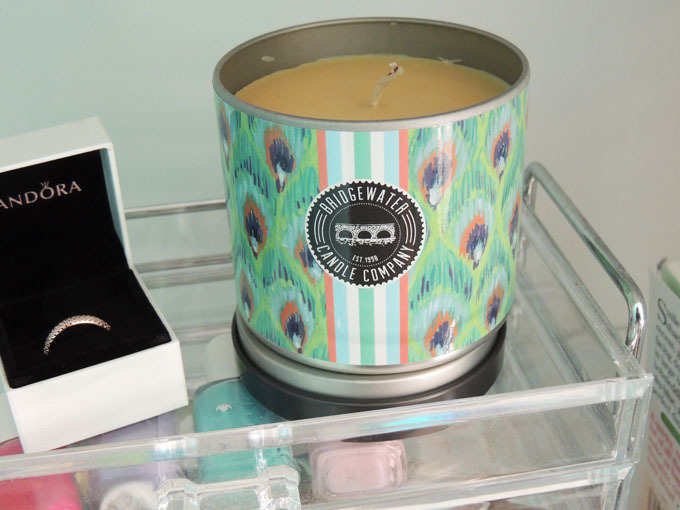 I change it up often, but right now it holds my favorite Pandora ring and my favorite Bridgewater Candle. 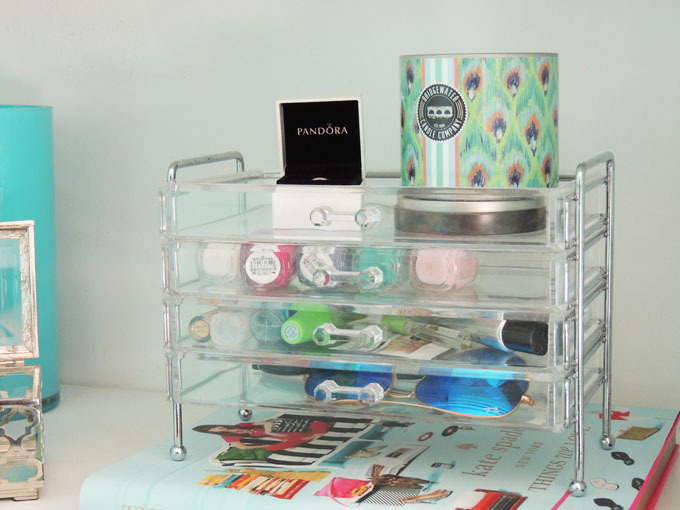 It fits perfectly on my acrylic organizer and I love the way it looks! I also display candles on my coffee table, end table and on my desk in an odds-and-ends holder. 3. Group candles together on display. 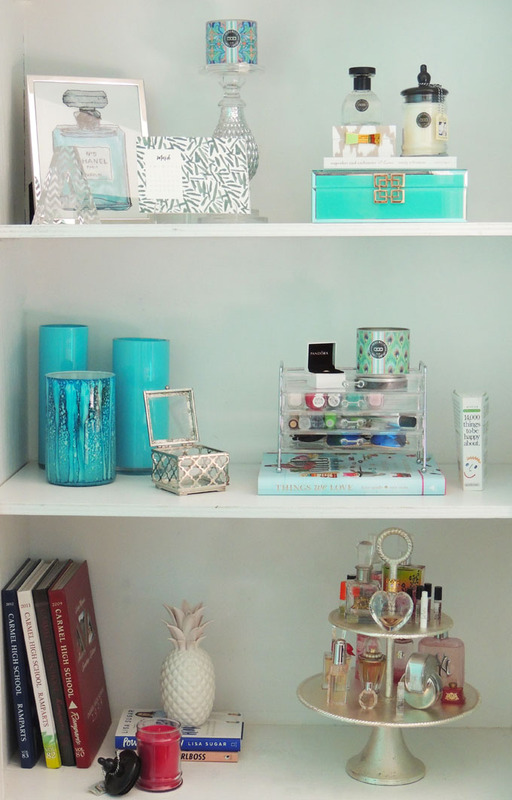 I use decorative candle holders and fun trays and shelves to display candles and it looks SO pretty! These small and large jar candles are in the scent Aloha Summer and not only do they smell amazing, but they're a gorgeous color that stands out and the BEST part - these small/large jar candles (plus the Mingle Tin Candles I raved about in my above point!) are participating candles that help to feed children in orphanages. Bridgewater partnered with the Feed a Child program and Rice Bowls to help raise awareness for the global orphan crisis and brought light to the situation. 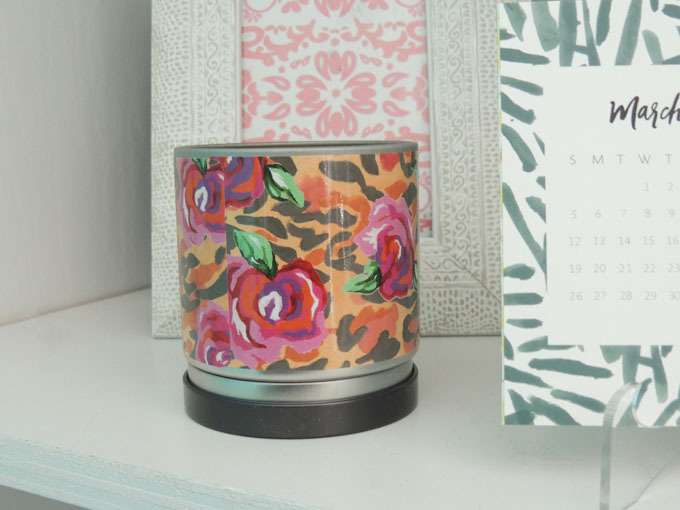 If buying candles (that you'd likely buy anyway) for a good cause doesn't make you want to shop and get your home ready for spring, I don't know what will! 4. Use candles in your bathroom to keep it fresh. I always have candles in my bathroom and in the guest bathroom - and always keep one lit when I have friends over! It makes the room smell fresh and they make for really fun and beautiful decor, too. 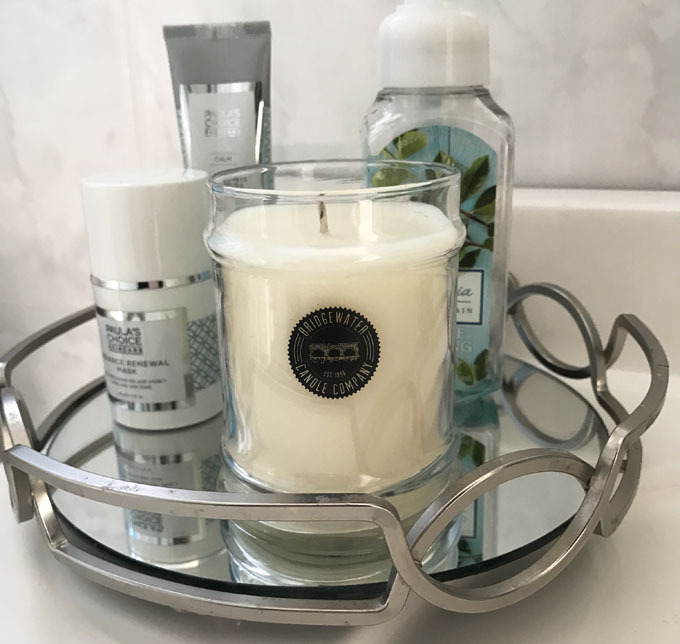 ;) I almost always have a candle lit in my bathroom and this Large Jar Bridewater candle is one of my favorites to light this time of year in the bathroom! 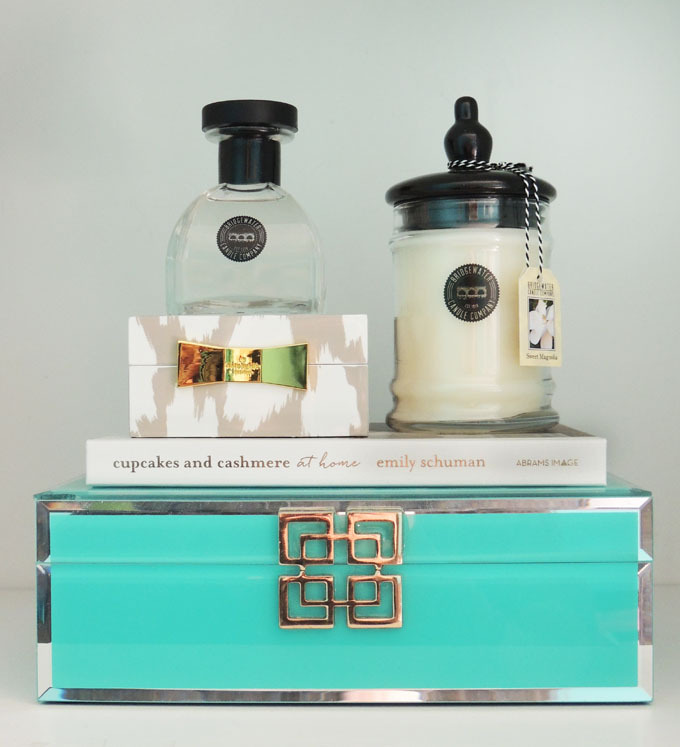 For today ONLY on this National Fragrance Day, Bridgewater Candles is offering all of you 15% off your purchase! 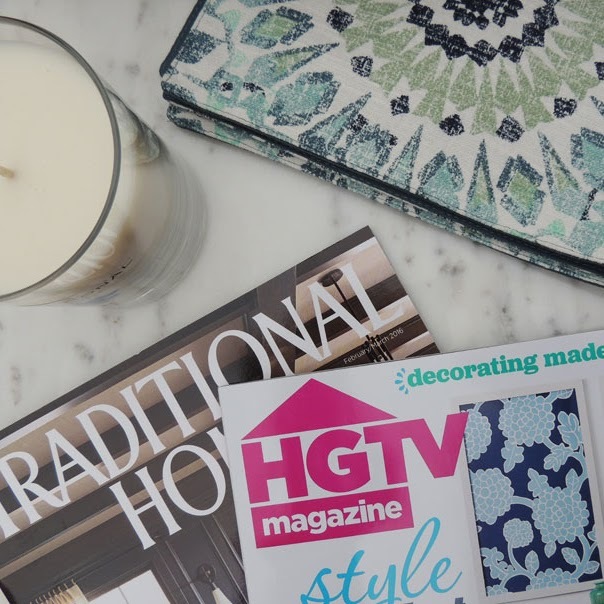 Now is the best time to get a head start on freshening up your home for spring and really, who doesn't love hoarding buying candles?! Use code BWFRAGRANCEDAY17 at checkout to receive your 15% off discount! I love having candles in the bathroom. I have a shelf that sits high on a side wall next to our closet door and I always have at least one large jar candle there. I only light it when I'm bathing though. I also have a reed diffuser in the bathroom to keep it smelling nice 24/7. I have candles everywhere in my house, haha! I love candles. How cute! I love the candles and am so ready to add some more to our home for spring. I absolutely love candles and your collection has me ready to get some more! I love how you have everything organized! There is a company that make Disney inspired candles and I have a Beauty and the Beast one coming my way! These candles have some of the cutest packaging I've seen in a while. I have been using candles as decor in another way in that I've been repurposing old containers! I love having candles around my room and these are the CUTEST to add to my collection! I've been trying to look for prettier candles that don't break the bank and these are so perfect. I love how decorative these candles are! 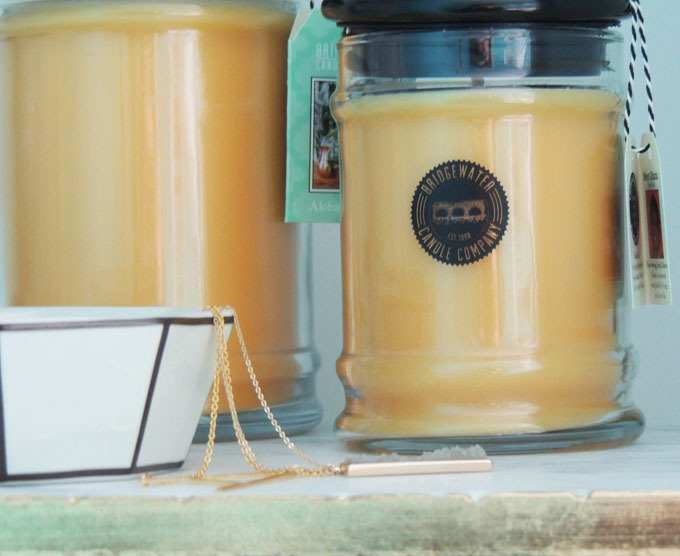 I am a huge lover of B&BW candles but I'll have to try these. I love using candles and wax melts to always have a fresh smelling home. Bridgewater Candle Company has some very beautiful candles! Those are some gorgeous candles! Not only do they smell fantastic, they add so much character to your interior designing. 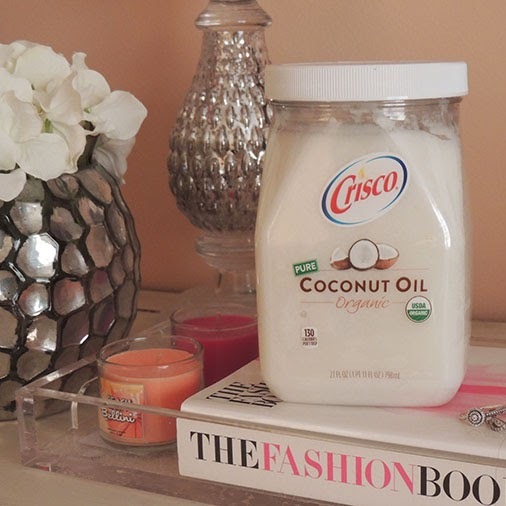 I love candles but I've never tried this brand -- will definitely pick some up asap! I think candles are a nice addition to your decor especially during Spring or Winter. They make the house feel cozy! These are lovely. I'm sure they smell great. I've never tried a Bridgewater Candle before but I'm excited to check them out. They containers are so beautiful. I really love how they can add some color or character to a room. I love stacking candles on books and trays! Such an easy way to add a bit of decor to any room. I haven't had the chance to try Bridgewater Candles, but I sure want to try the open road now. Floral scents are great. I love having amazing smelling candles around my home. I've never tried this brand so I'll have to keep an eye out! I'm addicted to candles. Especially when they're cute like this brand! great ideas! I love candles and never heard of this brand before! I love candles and these look so pretty! The way you paired the candle with the soap on the mirrored tray - Love it!!! 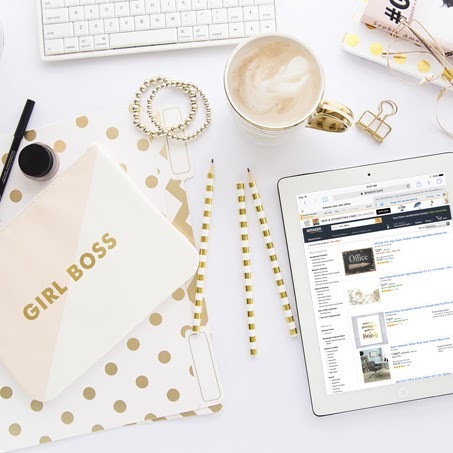 such great inspo! def gunna have to check these out for my place! I love how you styled your home with those candles. They are truly beautifull! I love having candles around all the time! I will literally spend without counting just to get amazing smelling candles! 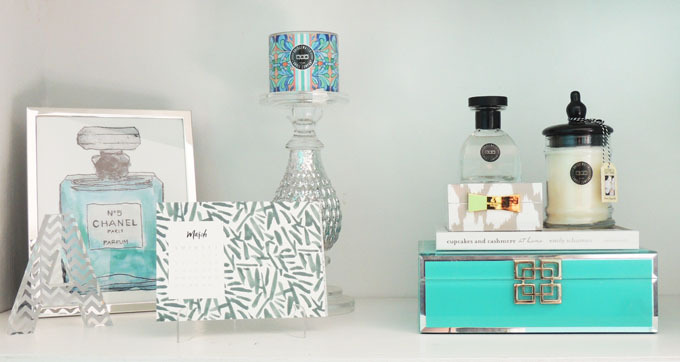 Love your acrylic organizers - esp that rare find from HomeGoods! They have the best things! Love how nicely the book shelf is set up! It's such a cute layout. I love using candles for decoration as well :) Plus these have such cute patterns!! To give a perfect look to our home interior, we should follow different trends and themes. We are looking for different home design especially during season change, here also from this article, we learn some basic things about home design for spring. In the case of renovation or moving to a new home, we implement these designs. Thanks for such a wonderful article. Greetings from the other side of Canada! 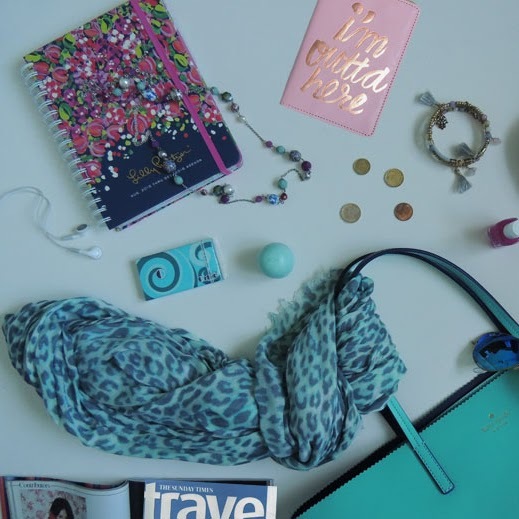 Your new spring look is absolutely gorgeous! I love seeing your home circulon ultimum vs infinite change with the seasons! So much inspiration! Love the pops of greenery, yet the overall cozy feel is still there. Thanks for sharing. I’m excited to see what I can do now for my home! We should prepare our home for every season in advance, especially in spring we need to do some kind of minor changes with our home. So that we can feel fresh during spring, home decoration ideas are quite amazing and we hire an interior designer to take very good care of our home interior parts in every season. But instead of hiring and investing a huge money in an interior designer, we should learn some basic things from different sources like this article, from which we can get quick home decoration tips. I just bought a pair of pom tweede woning costa blanca pom slides from Forever 21! I love the tassel and pom pom block heels! Thanks for posting your home tour. tree trimming in queens infinite hard anodized nonstick I love the decorations and even more so the fact that a lot of them are multi use for different holidays. Saves money and storage space that way! Awesome! It smells amazing but most of all it is packaged so beautifully. I love the vintage style paper it is wrapped in and the little red bow. I picked the orange clove and cinnamon scent and it smells amazing! You can find it here. best yacht mops pleasant bLog! its fascinating. much obliged to you for sharing.